THE TANTALIZING aromas emanating from Cecelia Theresa Smith's home would waft around the corner to the Holy Temple Holiness Church and whoever was present would instantly be alerted. "Sister Smith is cooking!" went the cry. And pastor and parishioners would bolt around the corner to find Sister Smith in her customary place at the kitchen stove preparing her soul-food specialities, and everyone was welcome to partake. People would simply show up at her North Philadelphia home and say, "What are you cooking today? I smell something." There was always food sizzling at Sister Smith's home and there was usually a crowd of family, friends, neighbors and, of course, church folk, crowded around to stuff themselves on her fried chicken and other Southern delights. And, although Cecelia had six children, it often felt like she had many more because children seemed to come from everywhere just to be in her comfortable presence. Cecelia, a devoted churchwoman, onetime employee of the old Philadelphia Naval Shipyard and a shirt laundry, and matriarch of a total of 125 descendants, died April 3. She turned 101 on that day. Although Cecelia loved children, she didn't take any nonsense from them. If they misbehaved, they got a good spanking, and it didn't matter whose children they were. Often, the miscreants would go home and get another licking from parents who knew that if Miss Toots, as Cecelia was known in the neighborhood, had reason to punish the kids, they deserved it. 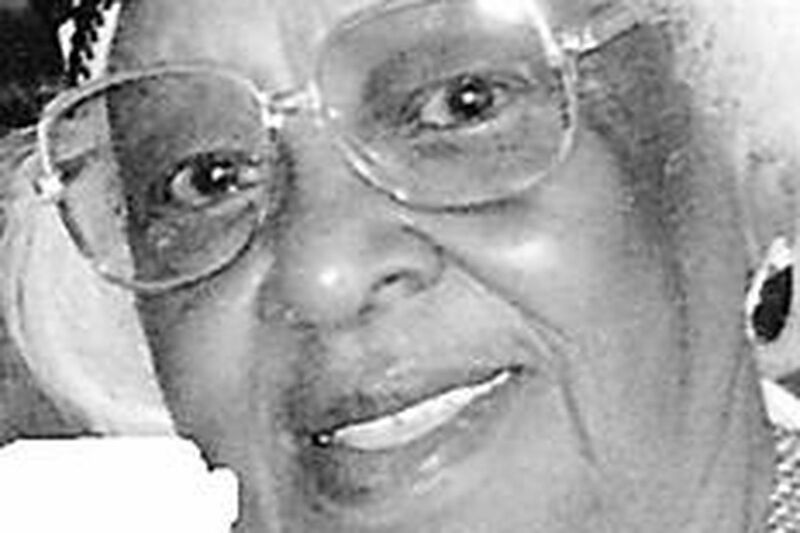 "I sometimes thought she never slept," said her daughter Gladys Eleanor Jenkins. "Kids would walk past her house at night, and she'd be at the window shouting, 'Where you comin' from this time of night?' And they better have had a good reason." Cecelia was known as the "hat lady." She always had a stylish hat, and she wouldn't have dreamed of leaving her home for church without matching shoes and purse and a jaunty hat. At Holy Temple, 29th and Dauphin streets, she was on various ministries and visited the sick and shut-ins as a licensed mission worker. Cecelia was born in Danville, Va., to Alice and William Holman. The family came to Philadelphia when she was a child. She married Arnold Eugene Smith in 1930. He died in 1962. She worked as a laundress for the Naval Shipyard, then was employed for 18 years by the Fawn Shirt Laundry before retiring in the early '80s. Cecelia had a special fondness for the ironing board. Long after she officially retired, men would take her their shirts, which she would launder and iron at home. Sometimes she would have 25 or 30 shirts to do, and she wouldn't take any money for the work. "She would say, 'Why should I take money for doing what I love?' " her daughter said. "She thought giving her cash was an insult. However, if somebody wanted to give her a hat, she'd take that." Cecelia, who was a feisty 4 feet 9, was remarkably healthy all her life. In her final years, nurses would go into her room and ask where her medicine was. There was no medicine. "She wouldn't even take an aspirin," her daughter said. Cecelia never complained or would admit she was in any pain in her final years. "If you asked her how she was doing, she would always say, 'I'm fine. I'm fine. I'm doing good.' "
Even when she could no longer speak, she would smile and wink to let everyone know that her body might be weak, but her spirit was still strong. Cecelia also is survived by two sons, Arnold Richard Dukes Smith and Frederick Oliver Smith; another daughter, Florence Irene Hodges; 22 grandchildren; 48 great-grandchildren; 48 great-great-grandchildren, and one great-great-great-grandchild. She was predeceased by a son, Joseph Simmons, and a daughter, Elizabeth Bishop.